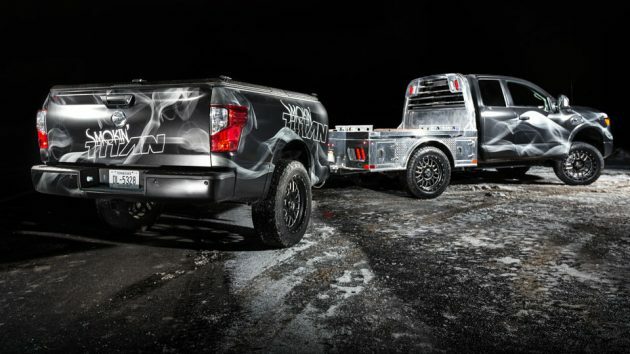 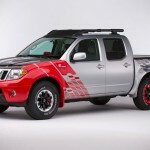 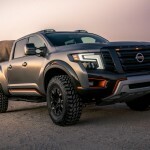 If you love a good tailgating party and BBQ, and also have a thing for pickup trucks, then I am pretty damn sure you are going to dig the Nissan ‘Smokin’ TITAN’ Pickup Truck as much as I do. 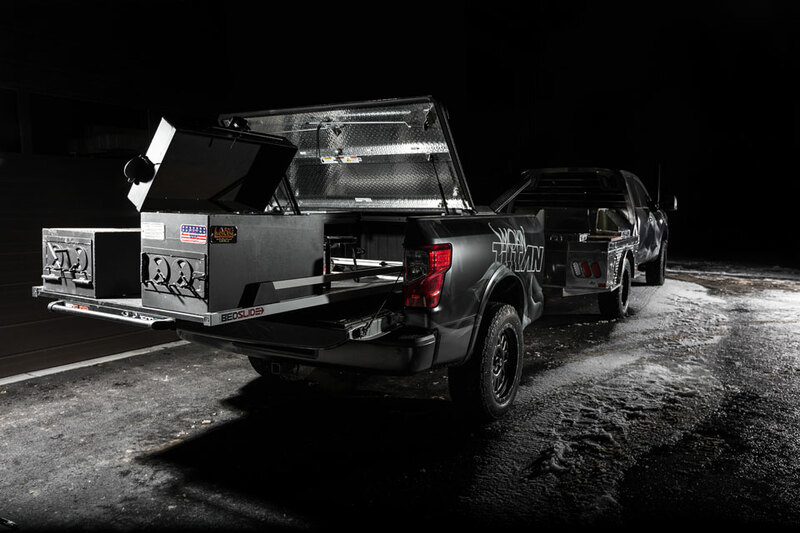 Unveiled at last month at the 2018 Work Truck Show, this specially modified 2018 Nissan TITAN XD Gas King Cab features a fully-integrated in-truck-bed smoker and a mobile kitchen, complete with a self-contained sink and water system, stove and spice rack. For this mod, the TITAN XD’s factory bed was removed and outfitted on a B&S Custom trailer, so that the insane heat from the smoker will not affect the main cab. In place of the original bed is a custom CM Truck Beds aluminum flatbed that serves as three food prep stations, each equipped with a double burner prep stove and a Churrasco Brazilian Wood cutting board. 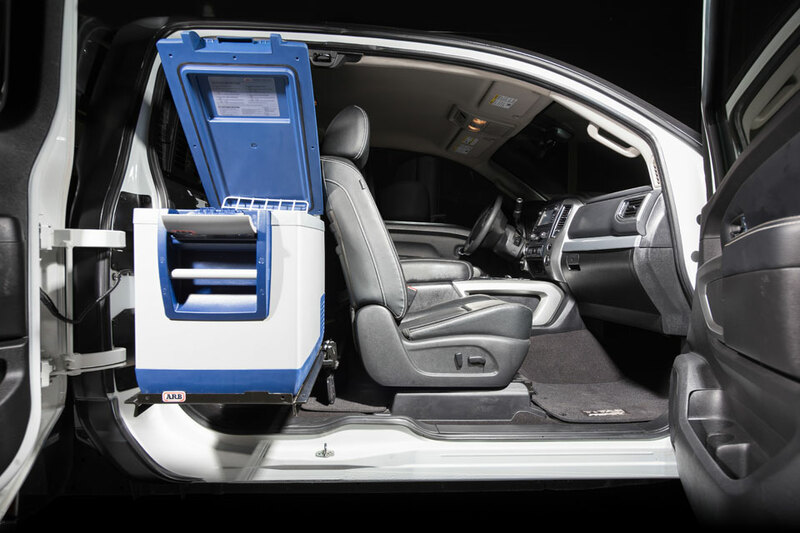 The custom bed is also where you will find the 24×24 sink and water system, but a Yeti Cooler take the sink an water system if cold storage is your priority. 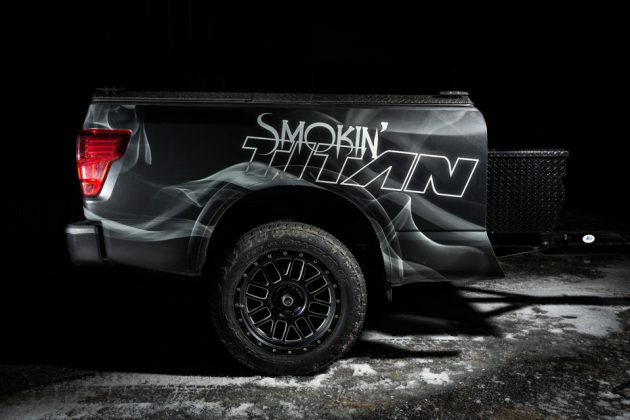 With this Smokin’ TITAN, the second row of the King Cab is now home to a ARB 50-qt Fridge Freezer on slide and a custom built spice rack. 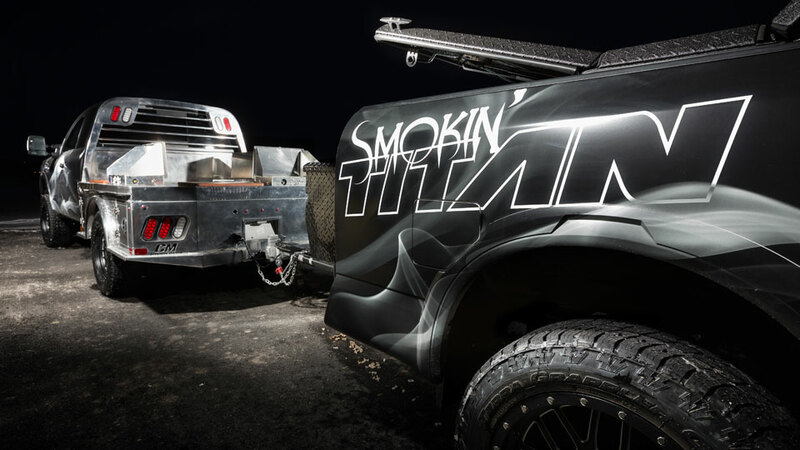 As for the matching trailer, it is where the smoking magic happens. 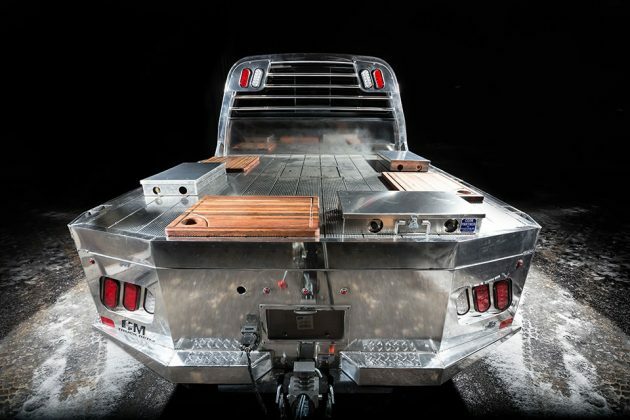 The bed-trailer boasts two lockable Nissan TITAN boxes for storing smoker pellets and wood chips, flanking a custom Lang BBQ Smoker and Char Grill on a B&S Customizing sliding tray that leverages on the TITAN’s Utili-Track System to allow the smoker to be slide in and out of the bed with ease. Consummating the ultimate tailgating party rig are a leveling kit, IF Signs Custom Flame wrap, 20-inch ICON Alloy Alpha wheels, wrapped in 275/25-20 Nitto Terra Grappler tires. Of course, those are in addition to what it already have for a tailgating party, including Rockford Fosgate premium audio and a plush luxurious interior. 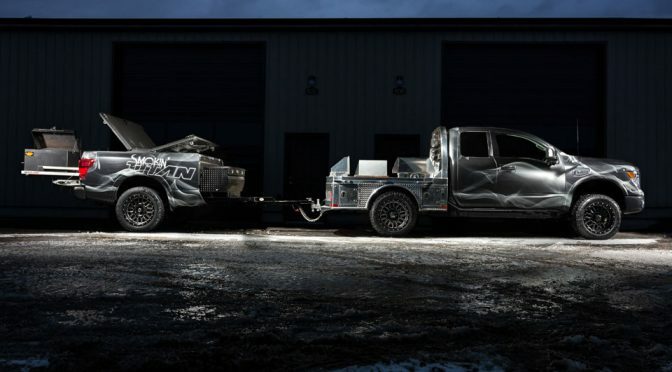 Last week, the Nissan ‘Smokin’ TITAN’ Pickup Truck set out on a journey for a four-city en route to The Great TITAN Meat Up, where it will be put to the test in a cooking competition among media members and Nissan executives in Pigeon Forge, Tennessee, U.S.A on April 27-28. 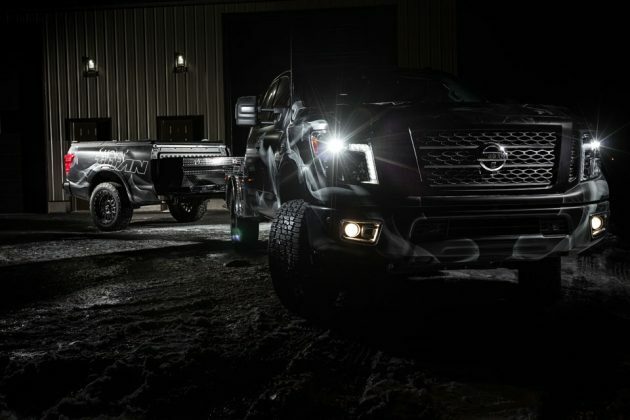 Unfortunately, you won’t be able to buy this truck, but what Nissan did to the 2018 Nissan TITAN XD Gas King Cab should provide you some inspiration should you decide to turn your own TITAN XD Gas King Cab into an ultimate tailgate party truck. 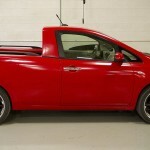 All images courtesy of Nissan.